Tequila Hacienda de Los Diaz Blanco is a hand-crafted, 100% Blue Weber Agave Tequila. 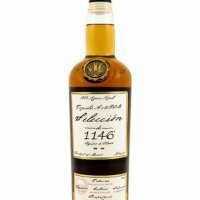 Hacienda de los Diaz is distilled the old way, unhurried and slow. The heart of the Agave is roasted in clay ovens and then crushed with a tahona (stone wheel) to extract the juices. After fermentation the juices are distilled in copper alembics or stills. The distillery, AGATEQ, Agaveros y Tequileros Unidos is in picturesque Pueblo Viejo, Municipio de Zapotlanejo (Jalisco Highlands). Founded by 40 Artisan Blue Agave Weber farmers, harvesters and producers, it benefits from the knowledge and expertise, passed down through generations. The master distiller selects their estate grown blue agave grown in the volcanic red soil of the Jalisco Highlands. 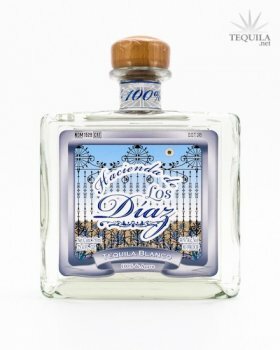 Hacienda de Los Diaz, is hand crafted “Proprietary Formula” using smaller batches which gives it its award winning taste.